Recently I stumbled across this bit, and was rather puzzled by it. It is ported, but has no way of engaging the port. So what does it do? The standard answer is “tongue relief.” However, a narrow port like this does not actually provide significant tongue relief, no matter what the fans say. 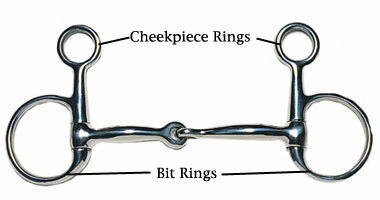 The corners where the bar of the mouthpiece meets the port actually create more pressure on the tongue, particularly if only one rein is used. But wait, what about that port? No matter which configuration, or how many of the attachments are fixed, it still doesn’t rotate (I made a model and tried. No, not on a horse). 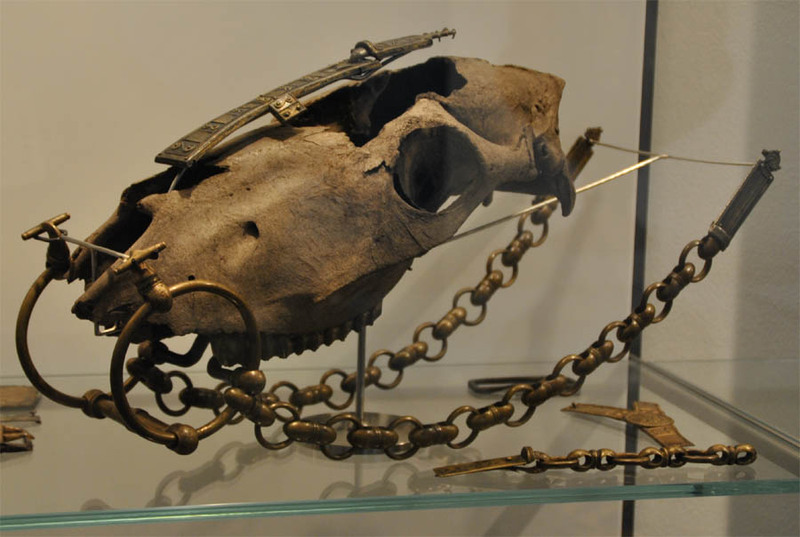 What it would do is prevent the horse’s tongue from coming over the bit, which is a particular problem in horses with high palettes, no nosebands, and/or poorly fitting tack- all of which would likely have been the case if this bit was actually from early or pre-medieval Denmark.